Damn Vape Fresia RTA comes with 22mm diameter and 4mm/ 5mm bore 510 drip tip. Made of Stainless steel, Fresia features adjustable bottom airflow system, compact chamber and raised deck. It supports between MTL AFC and restrictive L switch without changing airflow cube. And Fresia is compatiable with high/ med/ low concentration of Nic Salt or regular e-liquid. 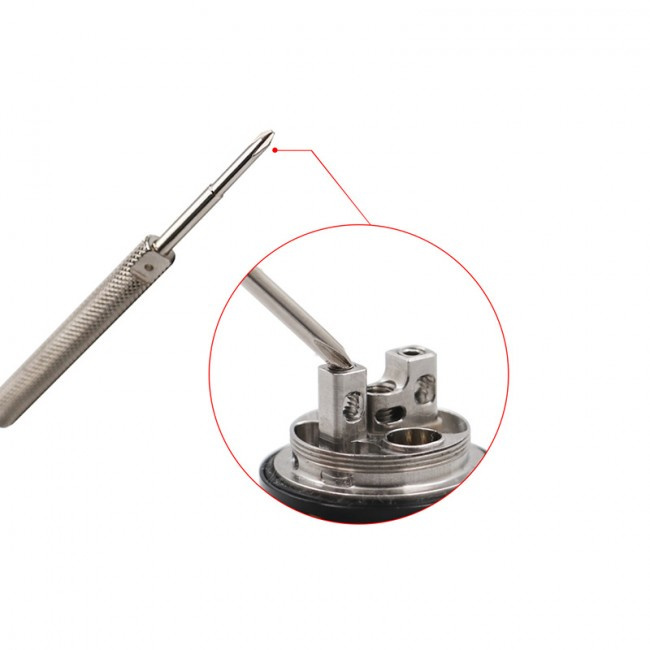 MTL Mode: With center tube beneath the coil open only (outer hole fully closed). Holes: 0.8mm, 1.0mm, 1.2mm and 1.6mm. DTL Mode: With outer and center tube beneath the coil open. Max flow: 2x 9mm+Φ1.6mm. 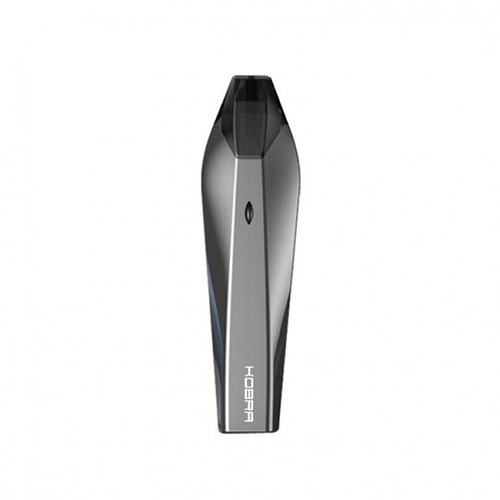 The Hugo Vapor Kobra Pod Kit is powered by 500mAh built-in battery. Made of Zinc alloy, Kobra comes with unique, gorgeous and luxury appearance. The Kobra features the LED indicator to show battery life as well as the no button design for simple operation. 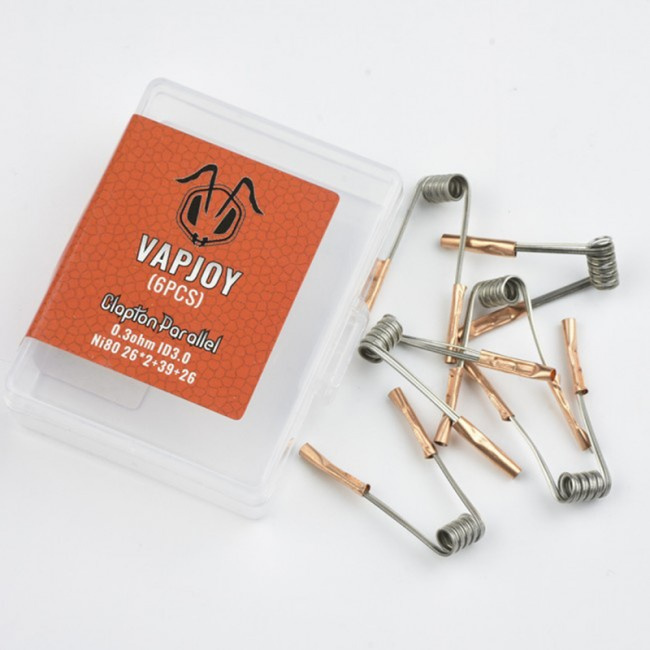 And it’s also with 1.8ml capacity and 1.5ohm ceramic coil. 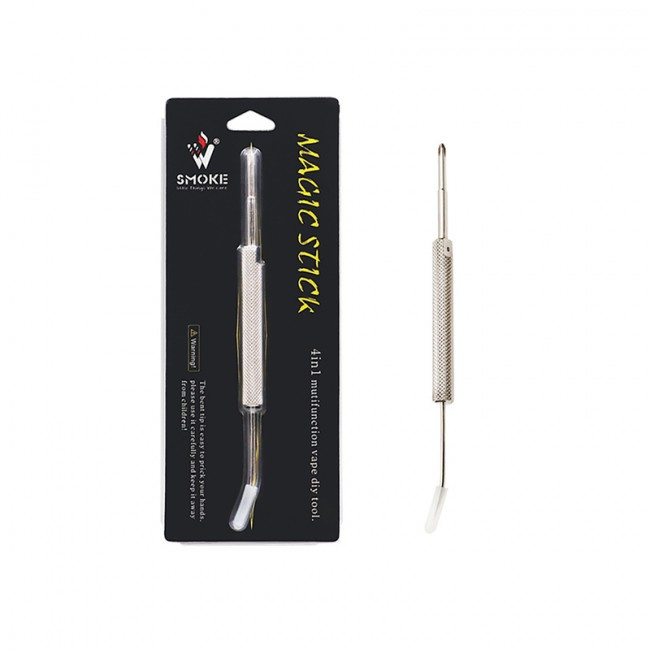 Vivismoke Magic Stick is a 4 in 1 mutifunction vape diy tool. I really, really, really NEED that Brunhilde RTA in my life. Yes I do. First batch will be stock around mid-end of Feb. Alina?, if we can id be happy to spread word of the help you have given recently and future half decent customer service is all we expect from Chinese vendors nowadays , so sad, 20 bucks says we can do it, u will be hearing from me. Thank you for your help first, can you contact with alina@everzon.com? Thank you kindly to everyone for support and trust Everzon over the past year! We sincerely hope that in 2019 #Everzon is together with you, the ambitious pursuit of excellence! Look forward to working closely with you to create a new world of e-cigarette!Thanks again for helping us grow and expand our store into the next year, wish you good health! Family happiness! Prosperity! As a token of our appreciation we’re offering New Year promo code. Everzon will be on holiday from 30th Dec,2018 to 1st Jan,2019. All orders will be processed on 2nd Jan.
Advken Manta RTA Resin Version comes with 24mm Diameter and 4.5ml capacity. Made of Stainless steel & Resin, Manta features the top re-filling and Tri-air-holes(6 air holes) Adjustment airflow System. With the Gold plated Dual-Curved Posts Deck, it is the innovative RTA for vaping. Resin glass tube and resin drip tip are perfectly matched to bring vapers visual enjoy. The OBS Cube MTL Kit consists of OBS Cube Mod and Engine MTL RTA. Powered by built-in 3000mah battery, Cube can reach up to max 80W output. Equipped with the 0.96 inch LED screen, exquisite buttons and intelligent protection, the OBS Cube provides vaper simple, safe and powerful vaping. 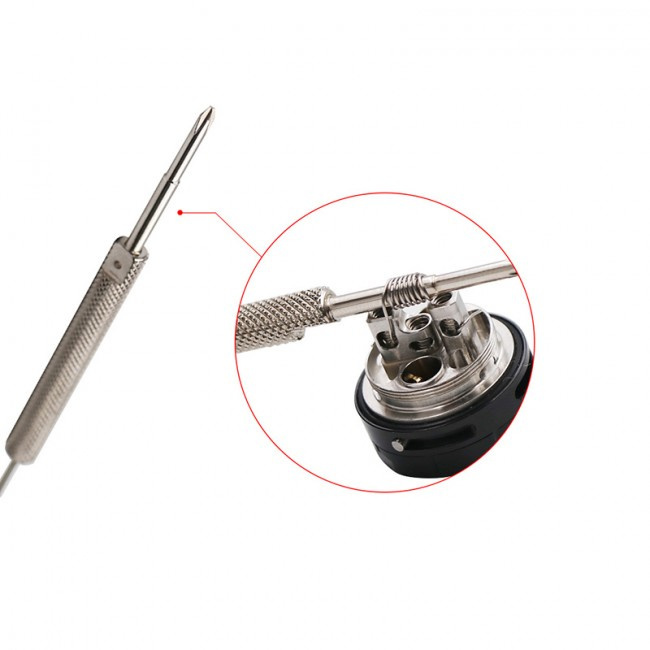 The Engine MTL RTA comes with 24mm diameter and 2ml capacity. It features adjustable top airflow system and top filling system. 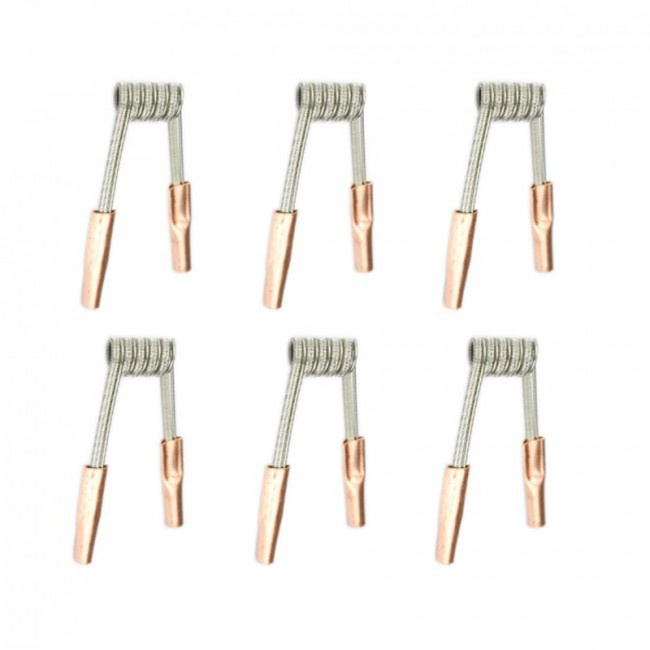 With the two post building deck, the Engine is convenient for single coil building. PS: Price $0.1 will be changed once the sales start. Teslacigs Poker 218W Mod is powered by dual 18650 batteries with max 218W output. Made of Zinc alloy, Poker is a powerful and durable TC Box Mod with an Ace of Hearts playing card design. And it supports Variable Wattage (KA), Temperature Control (Ni 200, SS316, Ti), TCR, Taste and Memory Modes. Plus the waterproof, dust proof and shock proof features, the Tesla Poker 218 will provide vapers safe and convenient vaping. The YSTAR Baby Mesh Sub Ohm Tank comes with 24.5mm diameter, 6.0ml large capacity and 0.15ohm mesh coil. Made of Stainless Steel & Resin & Glass, Baby Mesh Tank features top filling and adjustable bottom airflow system. Together with an innovative build-in top cap which provides excellent heat insulation, the Ystar Baby Mesh Tank also adapt to TFV8 baby coil. The Freemax Twister 80W Starter Kit consists of the Freemax Twister 80W battery and the Fireluke 2 Mesh Tank. The Freemax Twister is powered by 2300mah built-in battery with max 80W output. Twister adopts the pen-style design and elegant exterior. 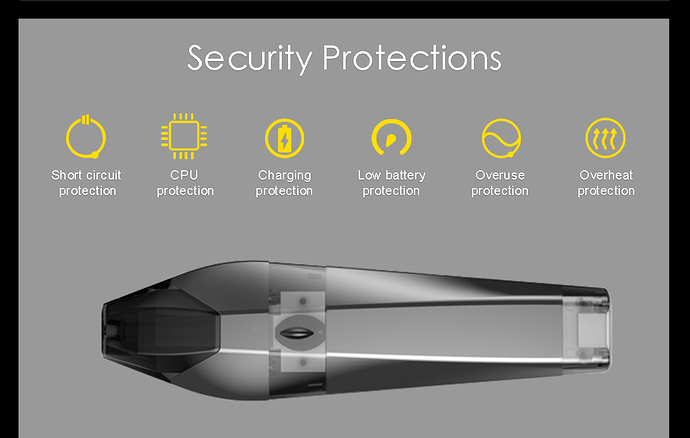 The Freemax Twister features an advanced chip which provides multiple protections and 0.01s fire speed. 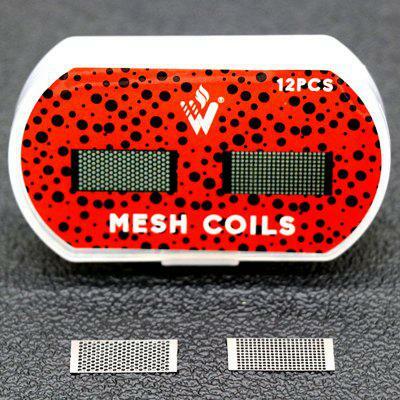 As for Fireluke 2 Mesh Tank, it comes with 24mm diameter and 5ml capacity. Made of Stainless steel & Glass tube, Fireluke 2 features slide-to-open top filling design and adjustable bottom airflow system. 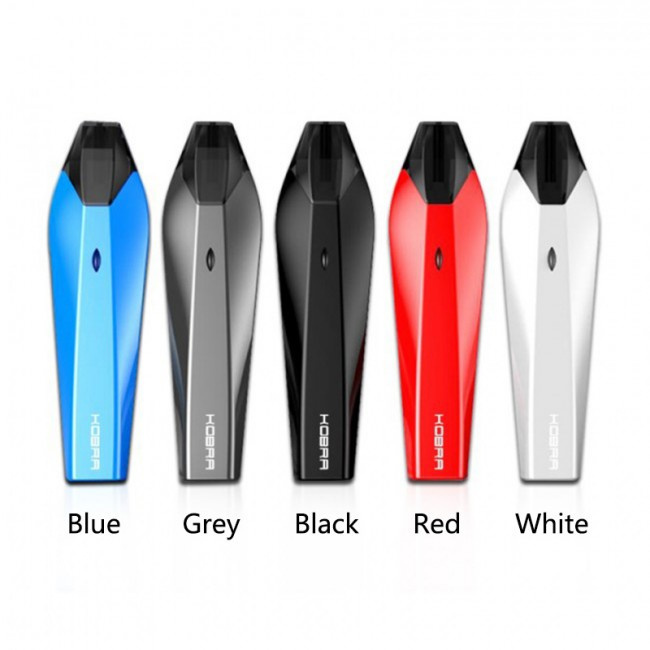 What’s more, it adopts the X1,X2 and X3 Mesh Coil and 360 degree e-liquid feeding system. Thinkvape Asteroid Kit comes with 420mAh built-in battery, 1.5ml capacity and 1.6ohm resistance. Asteroid features colorful indicator to show the power and voltage: Red light 0-20% <3.5V, Blue light 20%-50% <3.5V, Green light 50%-100% 3.9-4.2V. Chinese New Year is coming close. #Everzon want to share the joy with you. We prepared Six “Red Envelops”: Random Cash 20$, 50$, 80$, 100$, 150$, 200$ to celebrate Chinese New Year. Welcome to win “crash” worth up to 600$. We will pick up 6 winners on 30th Jan,2019, Good luck to everybody!